Well worth attending. Some cool stuff shows up. cant wait,,,,till Friday ,,,for this !!! 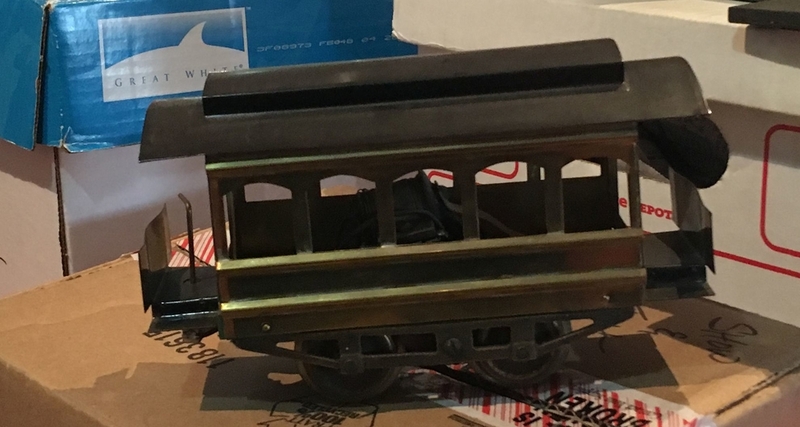 I don't have any standard gauge, but love tinplate. If I can get out of the house early enough, I may come. A good time was had by all. Plan to join us again in the fall. We always meet in the fairground's restaurant Friday during "York" between 0730-0900. Food was terrible, company was good. 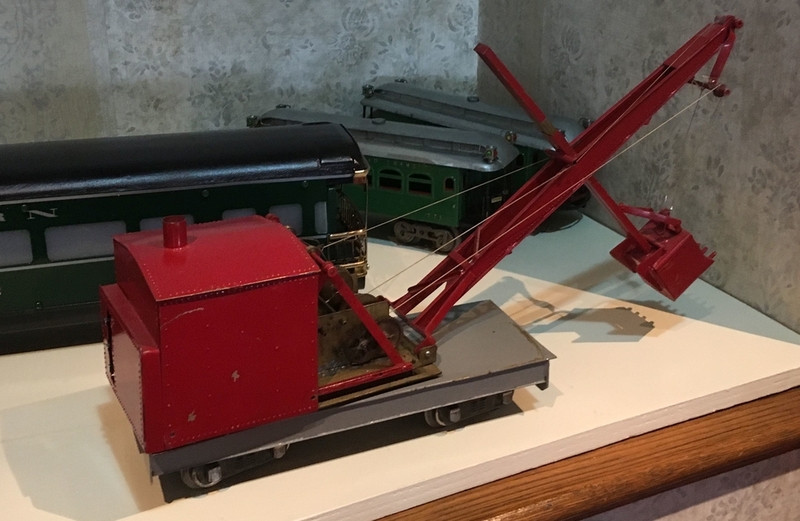 Some really cool stuff by builders from the past, and from current times was on display. We did better at dinner. George Tsakiris arranged for us eat with the Trackers at the Altland House in Abbottstown, where the food was great. I wish there was a better alternative for breakfast. I had a great time at both events, i,e,, the SGMA breakfast and dinner. I particularly liked seeing many of the original SGMA members who I hadn't seen in several years! IMHO SGMA needs to schedule both events at every York meet! PS. I thought the food at both venues was great! I have forgotten who made this bipolar but I want one! Past President Kirk filled in for SGMA's current but absent President who had to leave York early in order to finish selling his house. I thought the food was GREAT! PS. 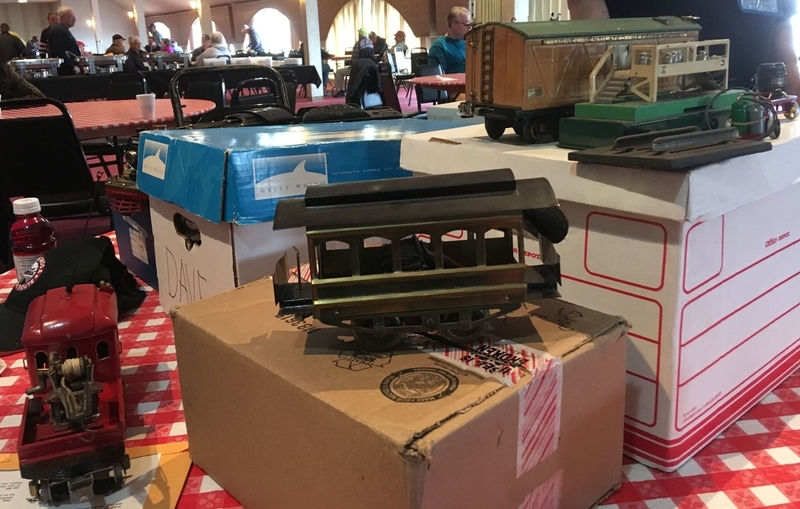 Hopefully I will make it to the Fall show where I can display some of the Olympian Hiawatha cars that Jim Waterman is currently building for me. Bob - thanks for the plug. 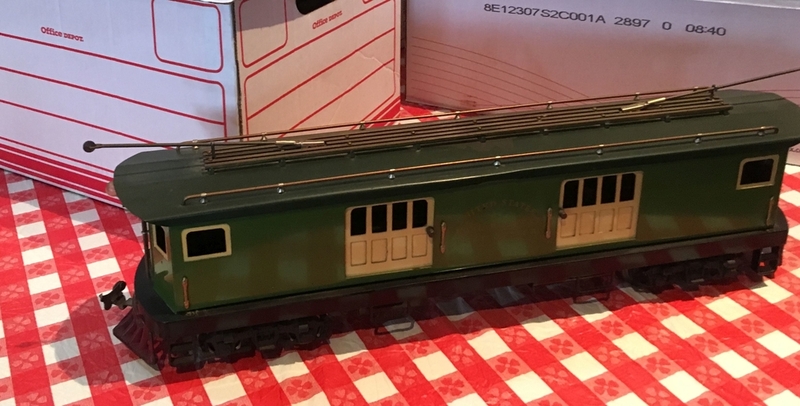 My builds were the 4-6-6-4 '800E', the Pennsy and Southern passenger cars, and the PRR E6 3d printed 4-4-2 on a 392E frame and drive. 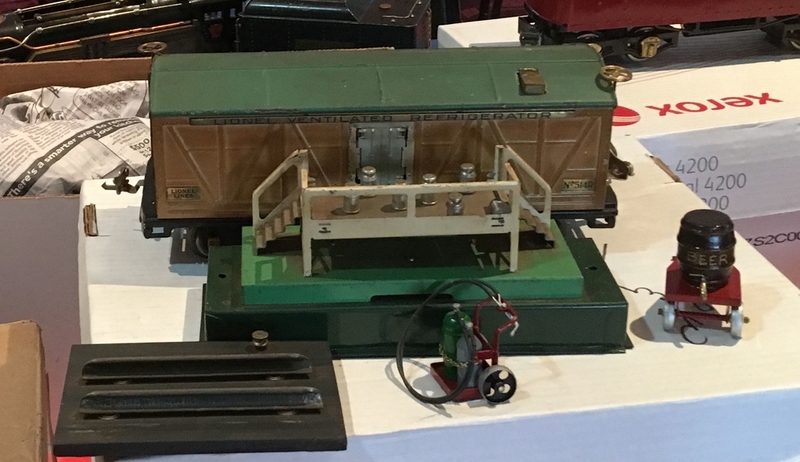 The B&O 2-4-4-4 and 4-6-2 and steeple cab electric were done by Norm Beaver, our master craftsman and fellow SGMA friend. 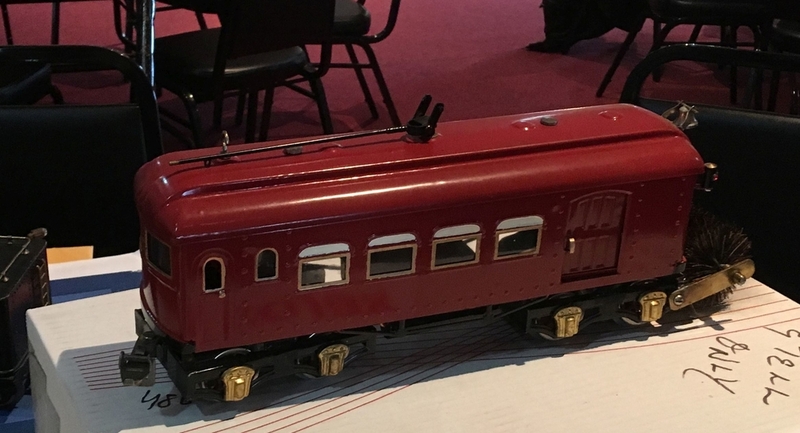 The wonderful 3 car interurban set behind the PRR cars was custom detailed and painted by Dave Wallace using Pride Lines Voltamp type units. 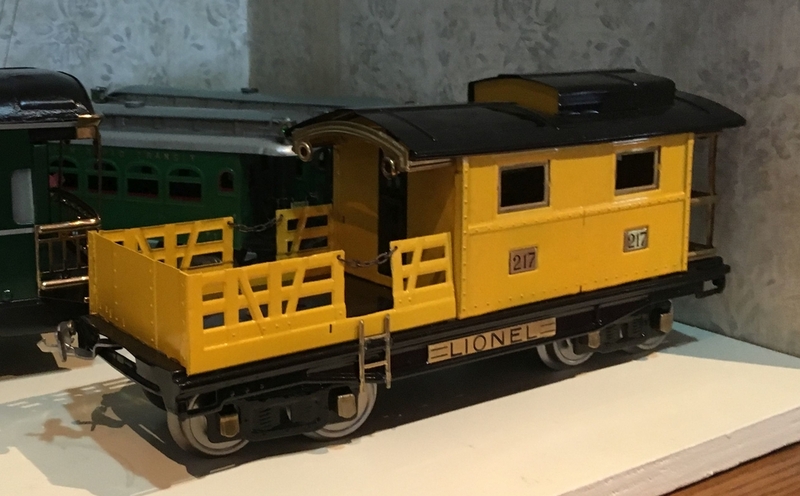 The brass O gauge Bipolar was a shell done by Pete Maurer and installed on a Lionel GG1 frame. I'll post some more photos soon. Lots more neat stuff showed up. Thanks to Bob and Jim for all of the great photos. We have come a long way since Jim Kelly-Evans and I started the SGMA back in 2005. 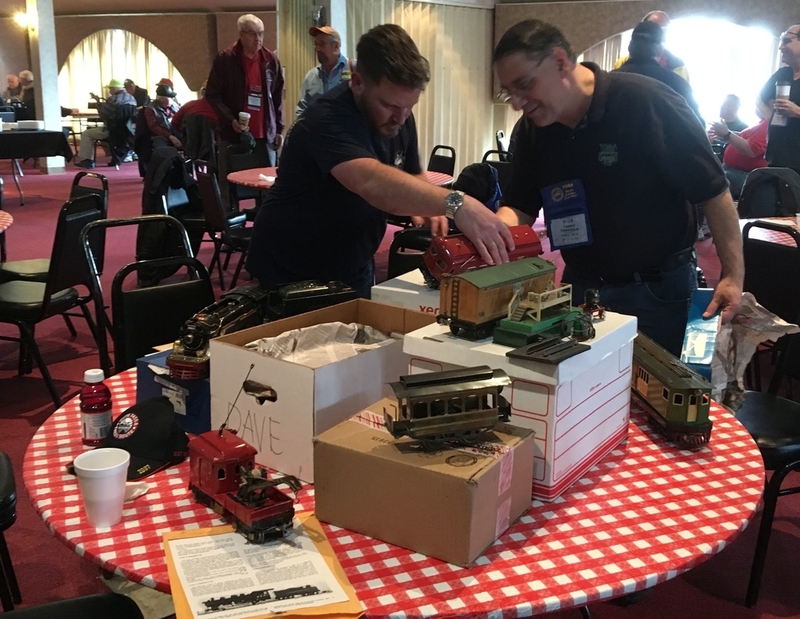 I like to think we have introduced hundreds of thousands of people to the fun of Standard Gauge toy trains, and facilitated friendships among Standard Gauge enthusiasts all over the country.